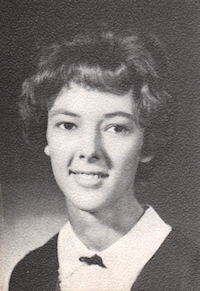 Obituary – Golliver, Linda Marie « Perry High School Alumni Association, Inc.
﻿All School Revue 62-63, Christmas Vespers 62-64, Home Ec. Assembly 62-64, Library Staff 63-64, Mu Alpha Theta 63-64, F. T. A. 63-64. 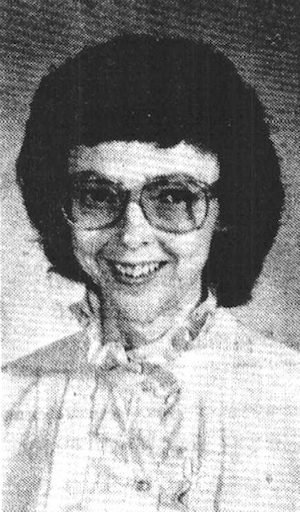 ﻿Linda Marie Golliver, 49, Enid, died at 10:45 a.m. Sunday, Sept. 29, 1996, at Integris Bass Baptist hospital in Enid. Funeral will be at 10 a.m. Wednesday at the First Christian church in Perry. Rev. Ken Griffith and Rev. Richard Fleig will officiate. Memorial services are set for 11 a.m. Saturday at Zion Baptist church at Okeene. Burial will be in Grace Hill cemetery at Perry. Brown Funeral home of Perry will be in charge of arrangements. Memorials may be made to benefit a speech pathology student scholarship in care of Guaranty Bank of Okeene. Ms. Golliver was born at Enid, March 25, 1947, the daughter of Leland and Jean (Culbertson) Golliver. She was a 1965 graduate of Perry high school and received an associate degree from Northern Oklahoma college at Tonkawa. She earned her bachelor of science and master of arts degrees in speech pathology from Oklahoma State university. Ms. Golliver was a speech pathology teacher in the Okeene school system for 21 years. She retired and moved to Enid in March, 1996. Ms. Golliver was baptized in the Garber Christian church, attended the Ceres Christian church and was a member of the Okeene Assembly of God church. Survivors include her parents, Leland and Jean Golliver, Enid; a sister and brother-in-law, Marylee and Ted Imgarten, Enid; a brother and sister-in-law, John and Pat Golliver, Agra; three nieces, three nephews and two great-nephews.